From the Booker Prize-winning author of The Handmaid's Tale, comes this historical fiction graphic novel tracing the Golden Age of Canadian comic books. 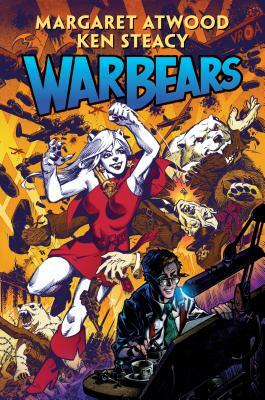 Collects War Bears issues #1-3. Internationally and New York Times best-selling novelist Margaret Atwood and acclaimed artist Ken Steacy collaborate for one of the most highly anticipated comic book and literary events! Margaret Atwood was born in 1939 in Ottawa, and grew up in northern Ontario and Quebec, and in Toronto. She received her undergraduate degree from Victoria College at the University of Toronto and her master's degree from Radcliffe College. Margaret Atwood is the author of more than forty volumes of poetry, children's literature, fiction, and non-fiction, but is best known for her novels. Her newest novel, MaddAddam (2013), is the final volume in a three-book series that began with the Man-Booker prize-nominated Oryx and Crake (2003) and continued with The Year of the Flood (2009). The Tent (mini-fictions) and Moral Disorder (short fiction) both appeared in 2006. Her most recent volume of poetry, The Door, was published in 2007. In Other Worlds: SF and the Human Imagination, a collection of non-fiction essays appeared in 2011. Her non-fiction book, Payback: Debt and the Shadow Side of Wealth was adapted for the screen in 2012. Ms. Atwood's work has been published in more than forty languages, including Farsi, Japanese, Turkish, Finnish, Korean, Icelandic and Estonian. Margaret Atwood currently lives in Toronto with writer Graeme Gibson.